Invite your friends and community to the festivities! 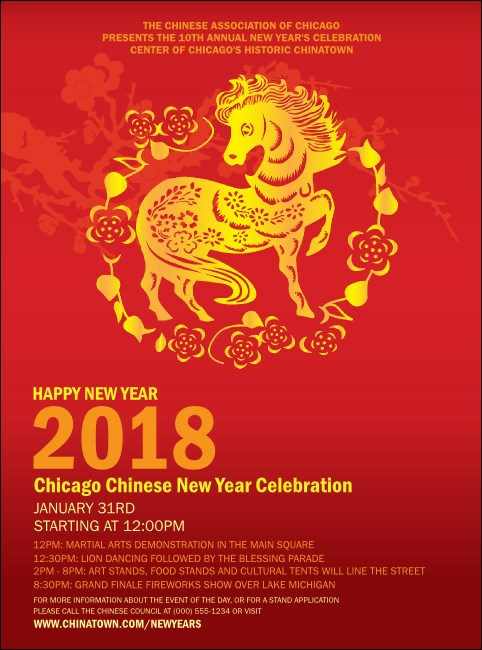 The Chinese New Year Flyer features a deep crimson background, orange and yellow text, and a bright illustration of a horse in the middle. Customize with fifteen lines of information about your celebration.